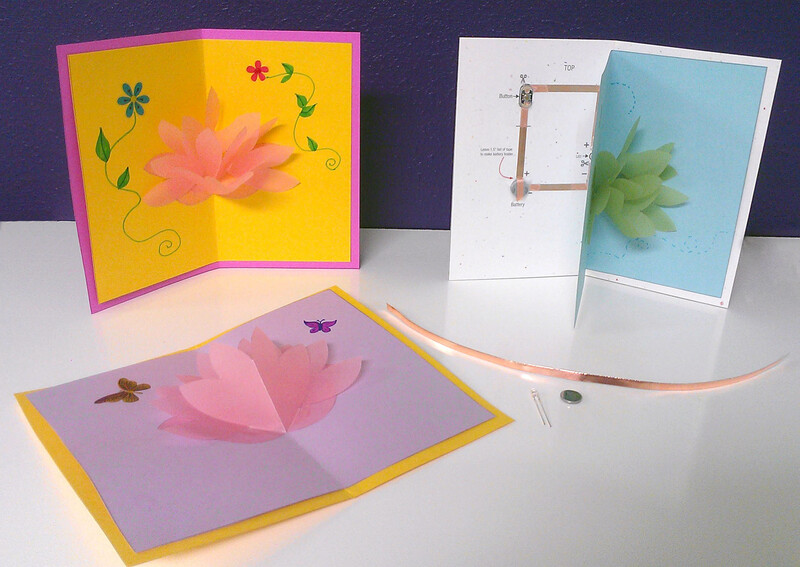 Here are the templates used in the Have Fun with Paper Circuitry workshop at the GESTEM (Girls Exploring Science, Technology, Engineering, and Math) event on 5/9/2014. This workshop taught simple paper circuitry and a basic understanding of how circuits work using copper tape, a coin cell battery, a LilyPad Button Board and an LED. No soldering required. Printable templates and instructions are included in the attached PDF. 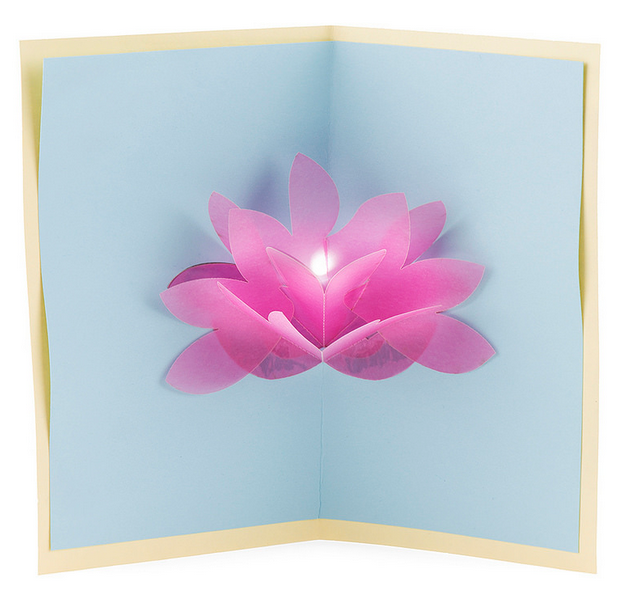 The lotus card template is based on a design by Robert Saluda. Where do I find copper tape? SparkFun sells copper tape in 50ft rolls, but you can find similar tape at craft or hardware stores in the stained glass aisle.